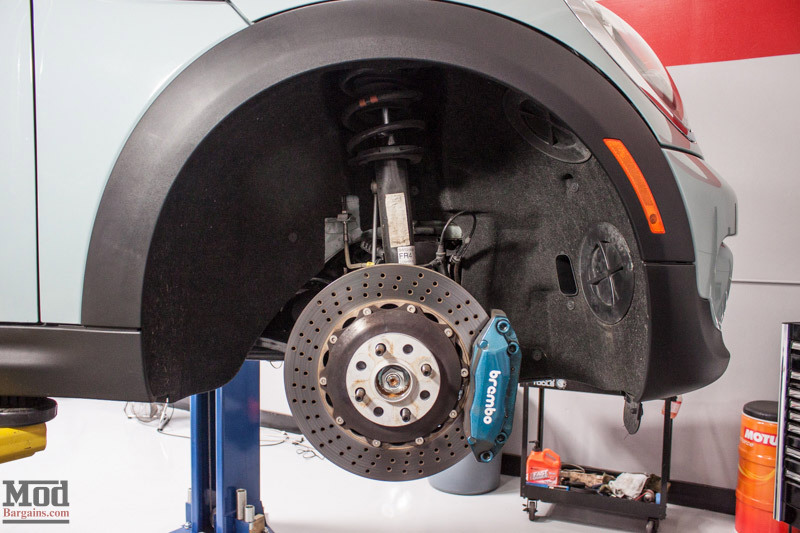 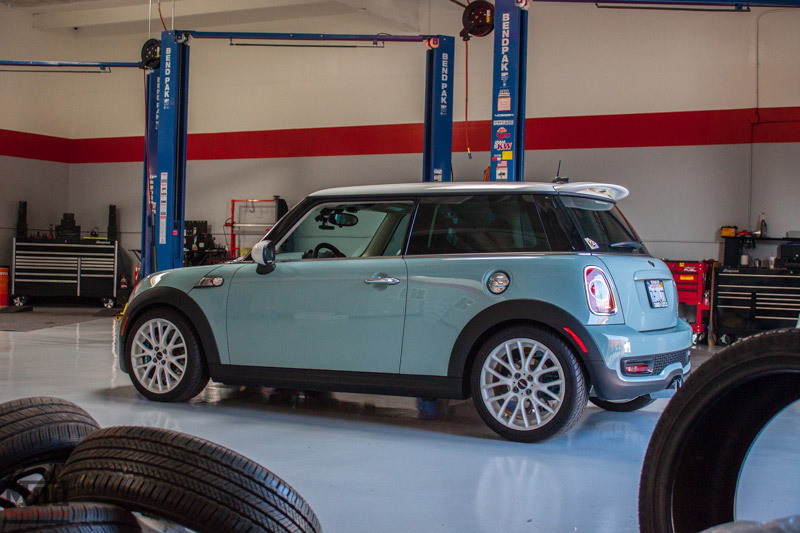 Mod Expert Alan Wei‘s lady’s Mini Cooper S has been in the shop here more than a few times, but today it’s back to be fitted with a set of KW Coilovers for Mini Cooper. 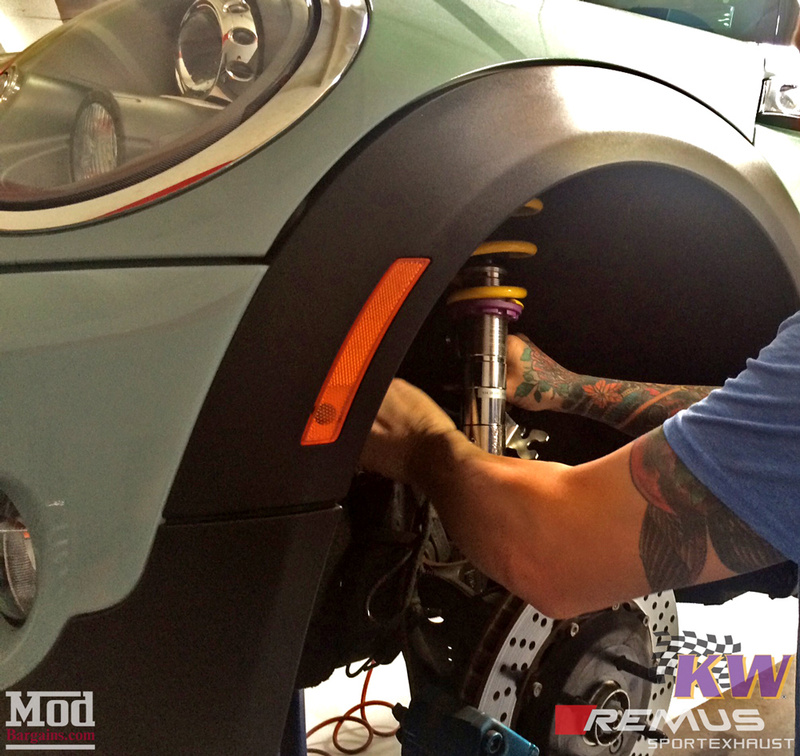 Aileen, being Mod Expert Alan Wei‘s significant other, naturally knows precisely what she wants when it comes to tuning her Mini Cooper S, and we had very specific orders on exactly how to set the KWs to her satisfaction – of course, this is no problem for us – if we’re installing your coilovers, we’re happy to accommodate nearly any ride height request. 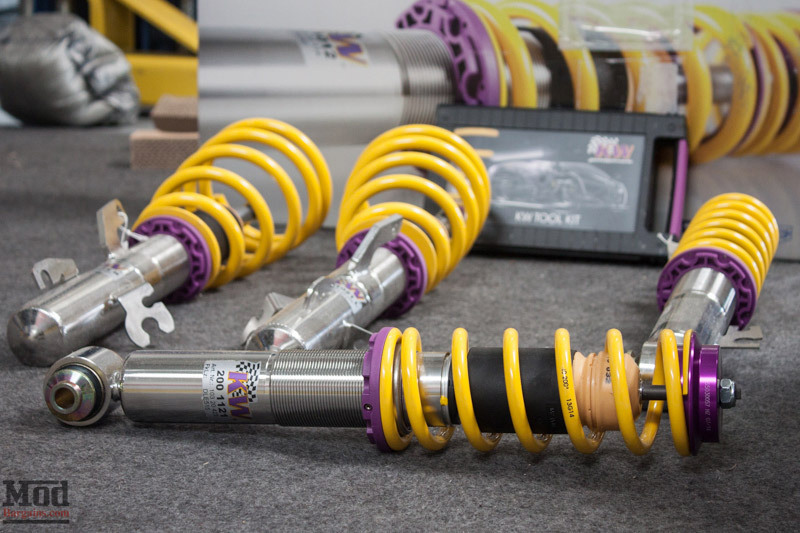 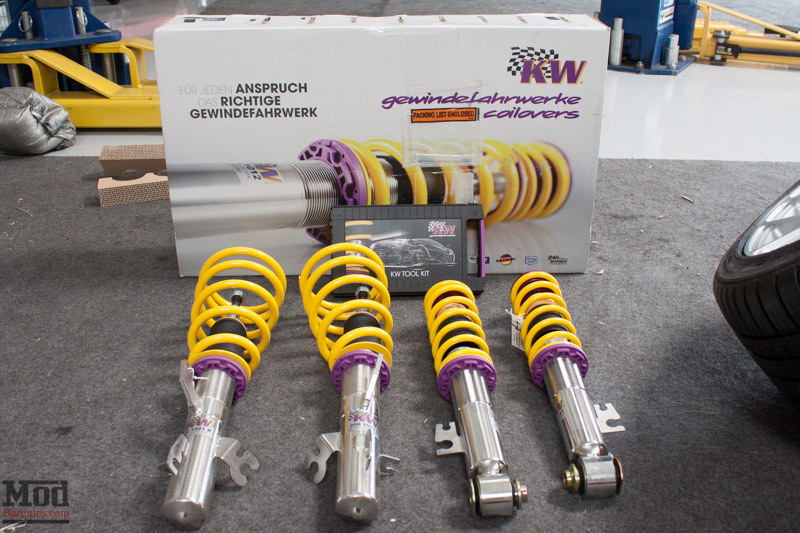 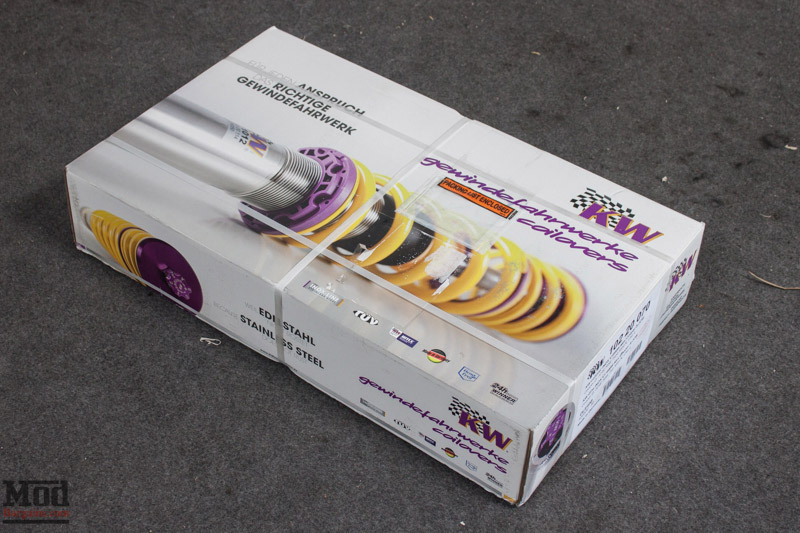 The KW Coilovers come complete in this nice box and even have this awesome little toolkit, a marked improvement over the lower market ST Suspension coilovers. 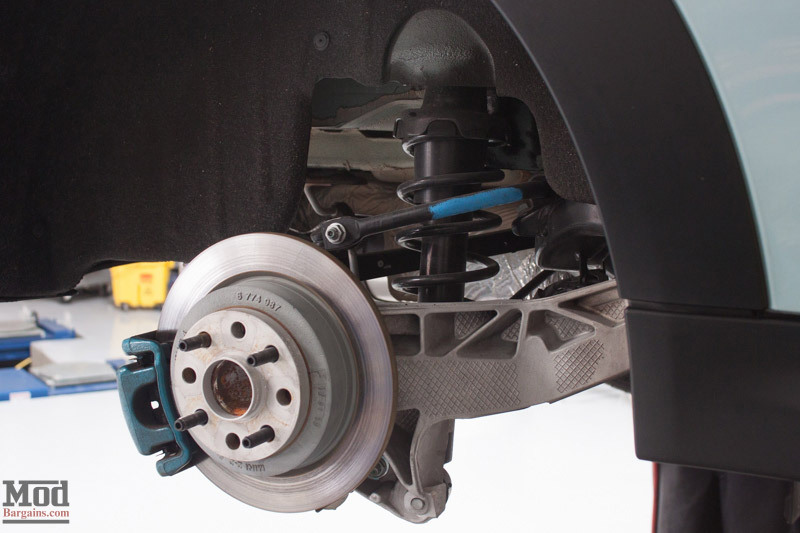 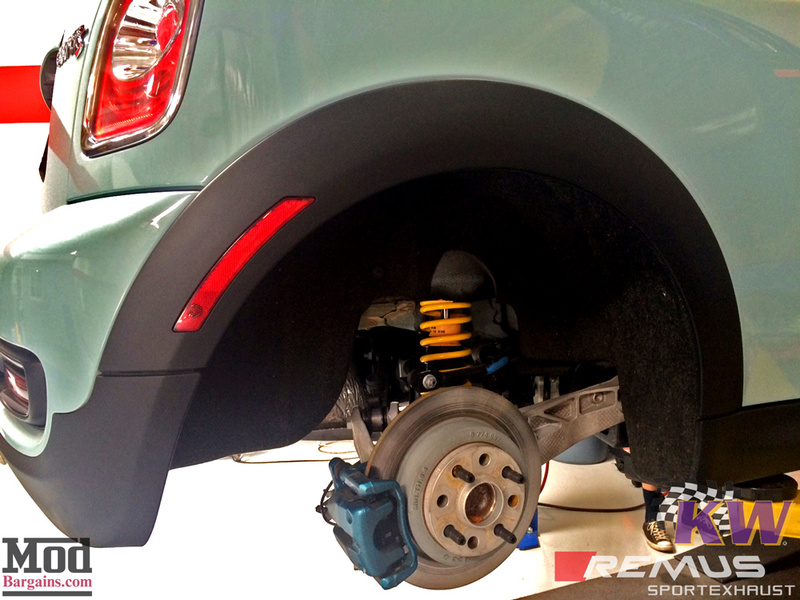 Here’s how the stock rear coils looked. 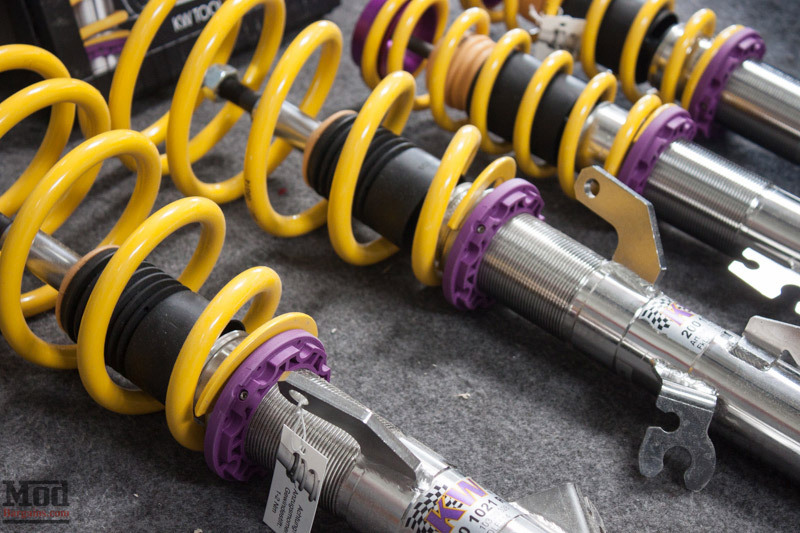 And here are the front OEM coil springs. 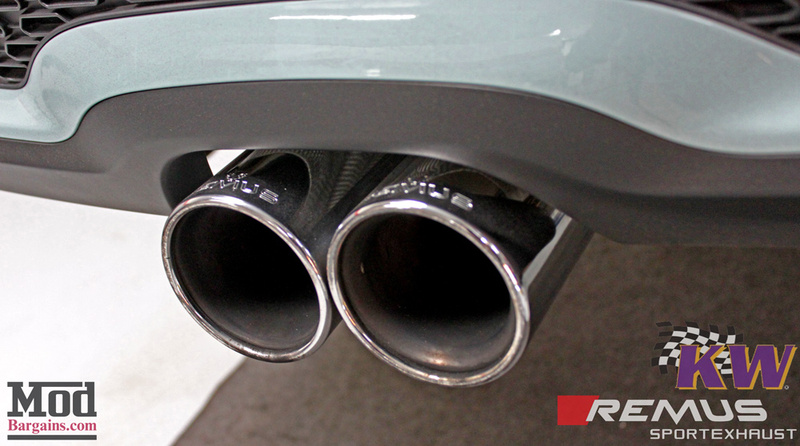 Kiss them goodbye! 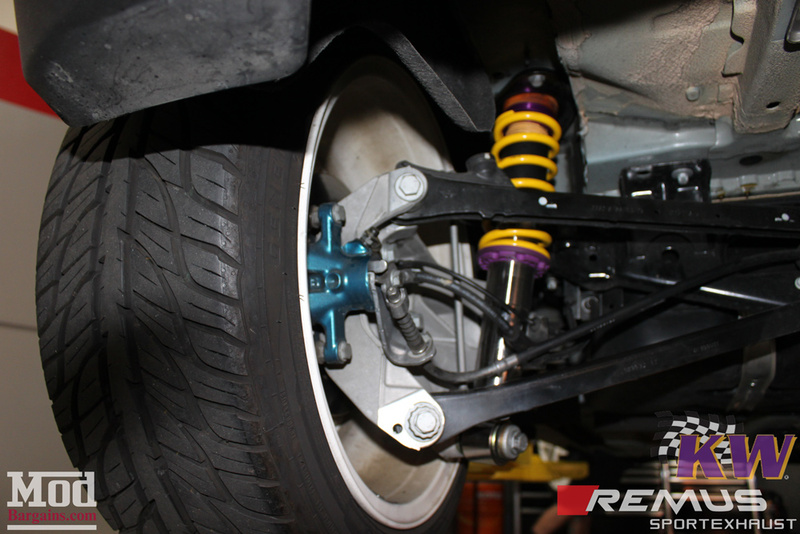 Sr Tech Dave made quick work of installing the KW coilovers. 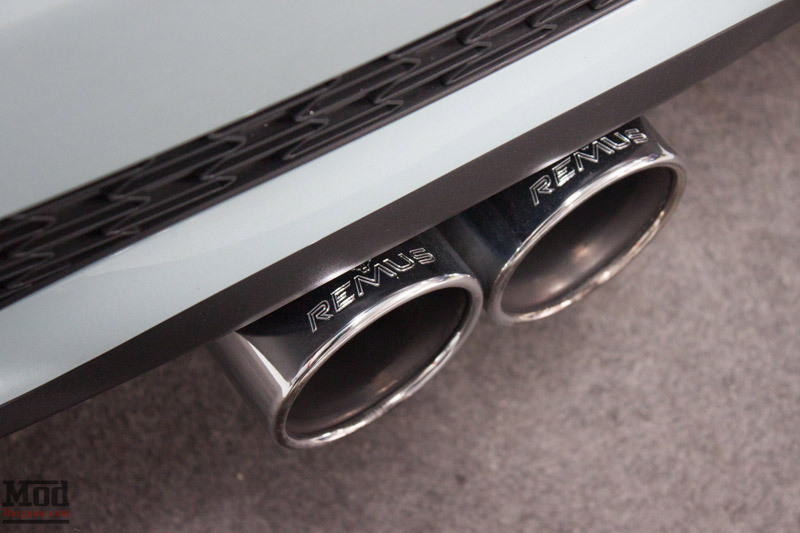 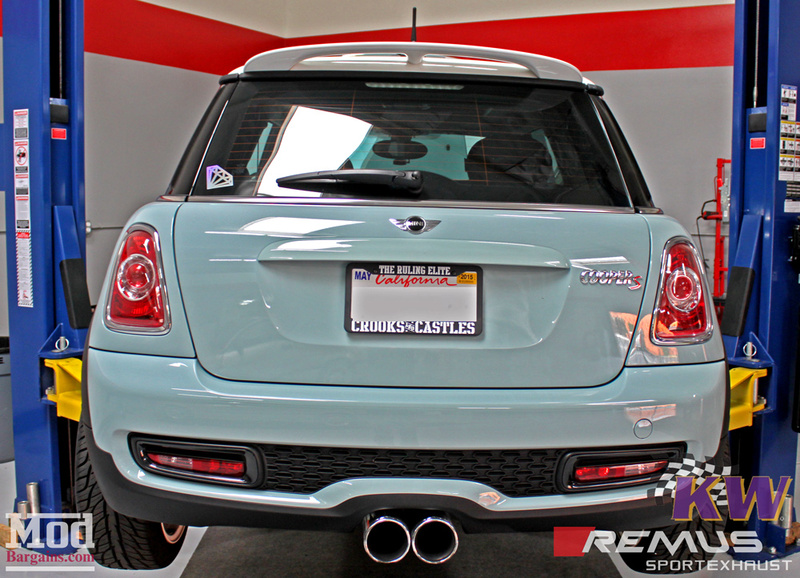 From this angle we can better see the KW Coilovers installed in the rear, as well as the Remus Exhaust for R56 Cooper S that’s been fitted to this S.
Once we had it back on the ground, of course we took the Mini back outside for some photos to admire our finished work. 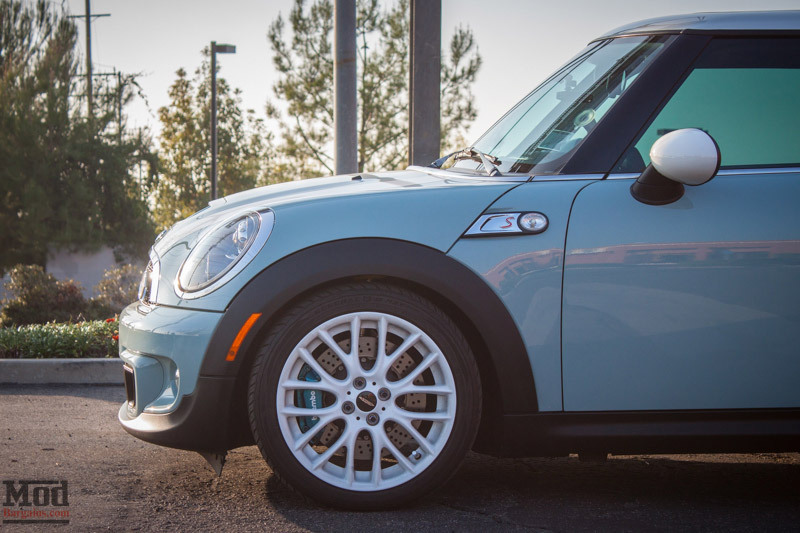 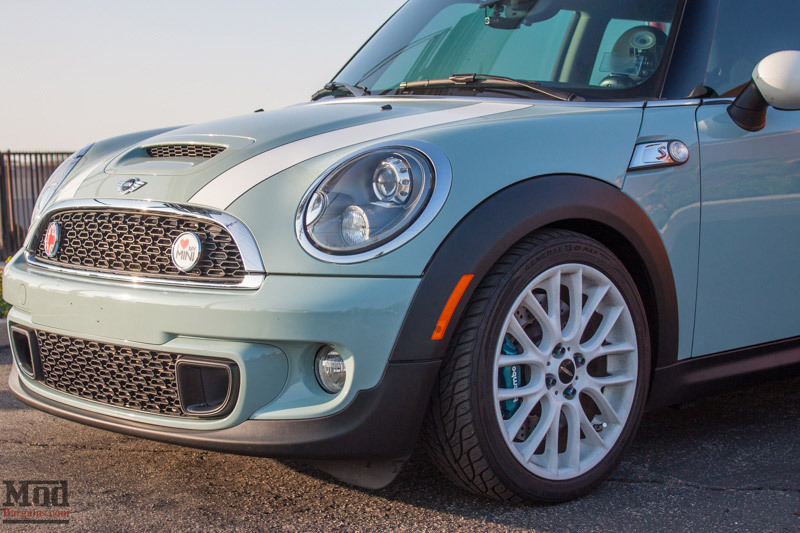 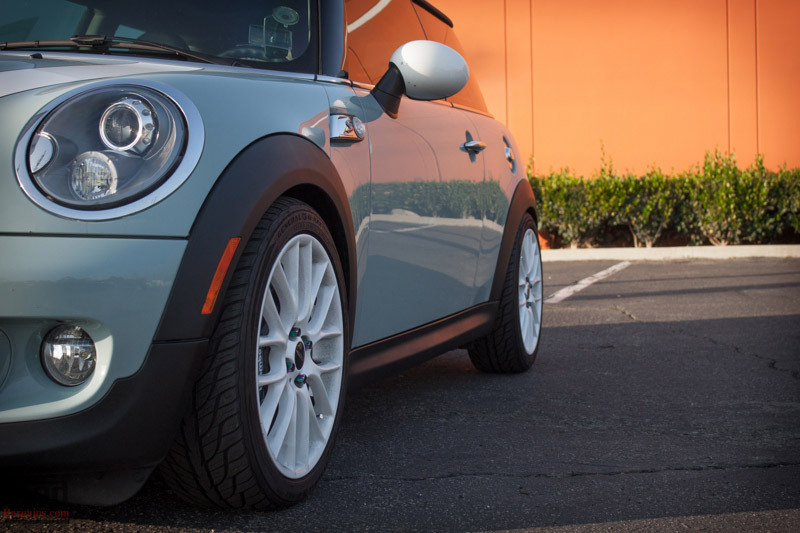 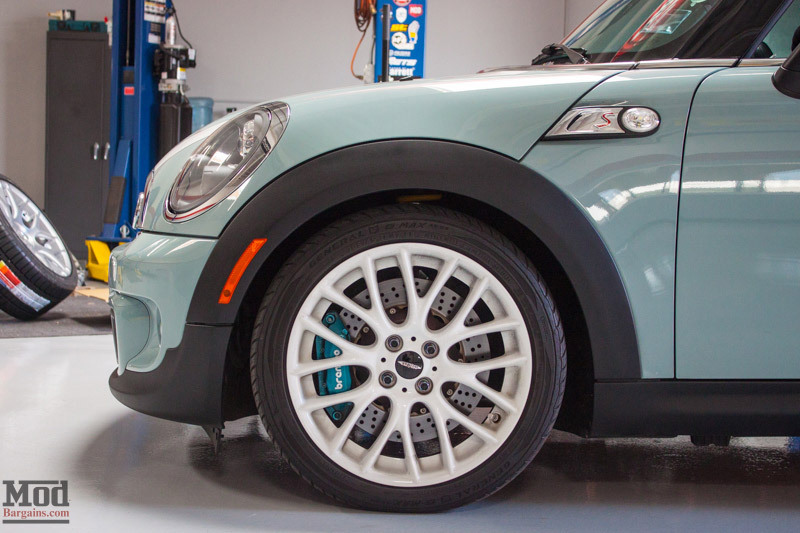 Up front, you can see that this Mini is a whole lot more than just “cute” with that Brembo big brake kit peeking out from behind the JCW wheels. 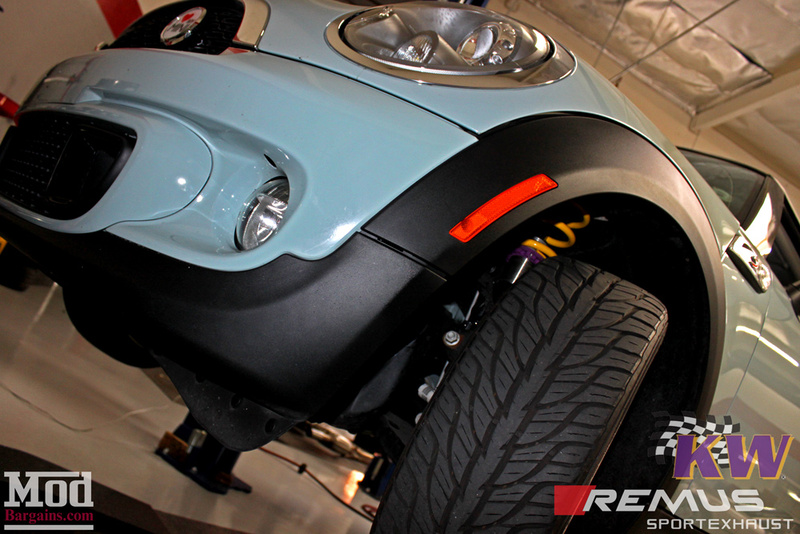 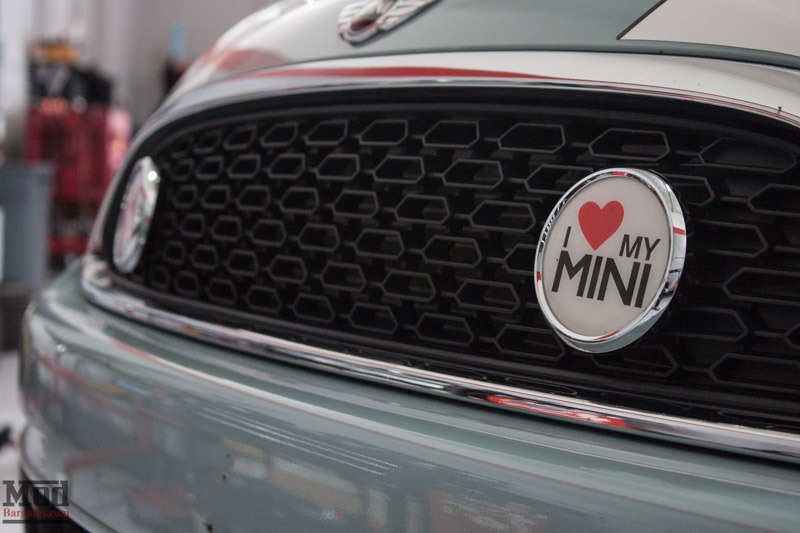 It’s one of this Mini Maven’s favorite parts of the build! 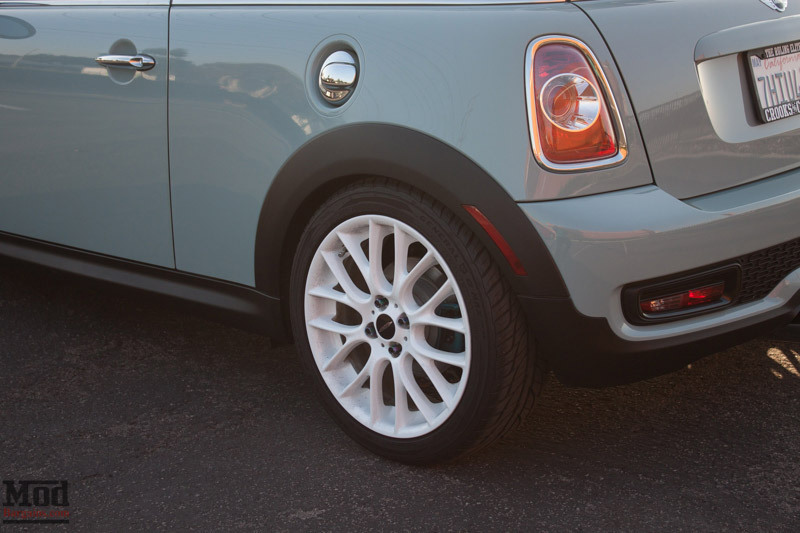 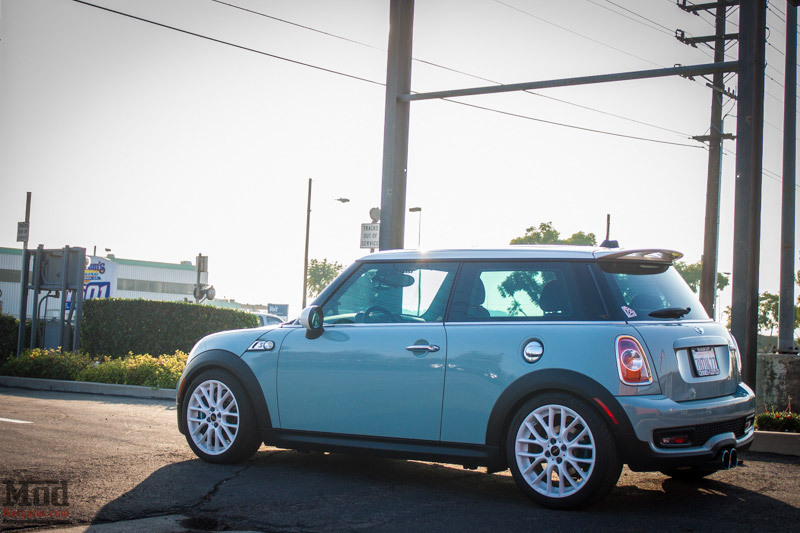 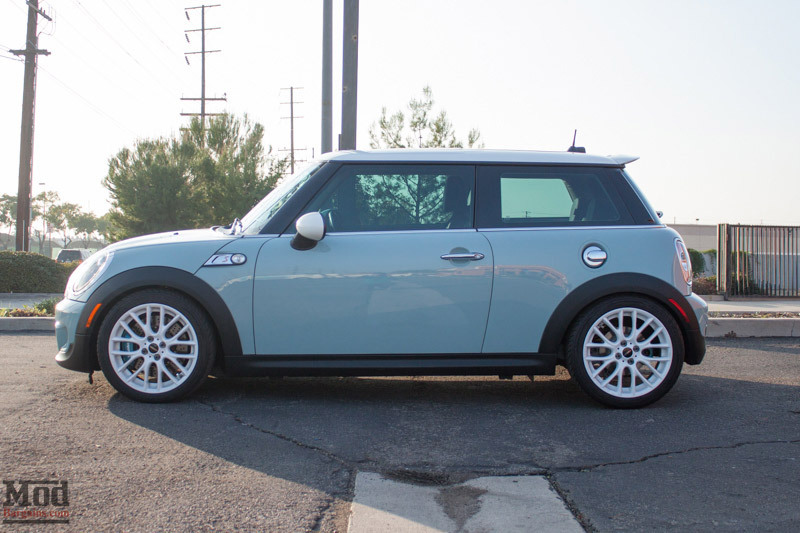 Interested in modifying your Mini like Aileen’s done hers? 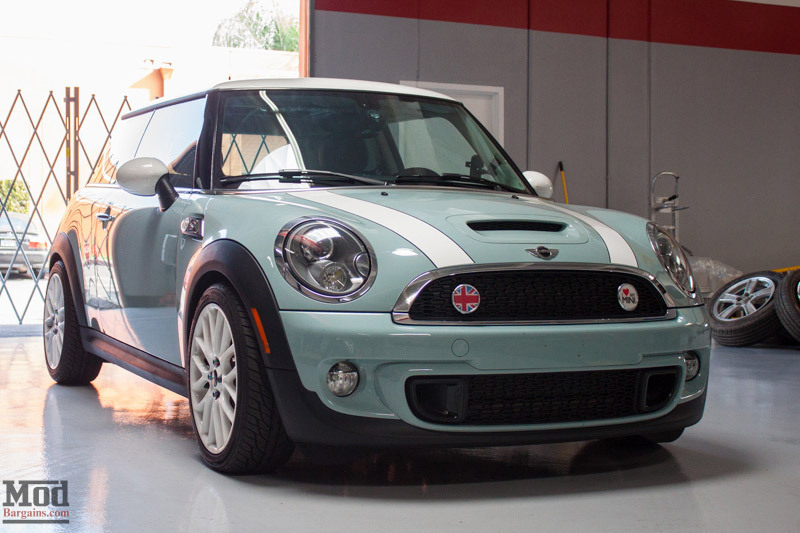 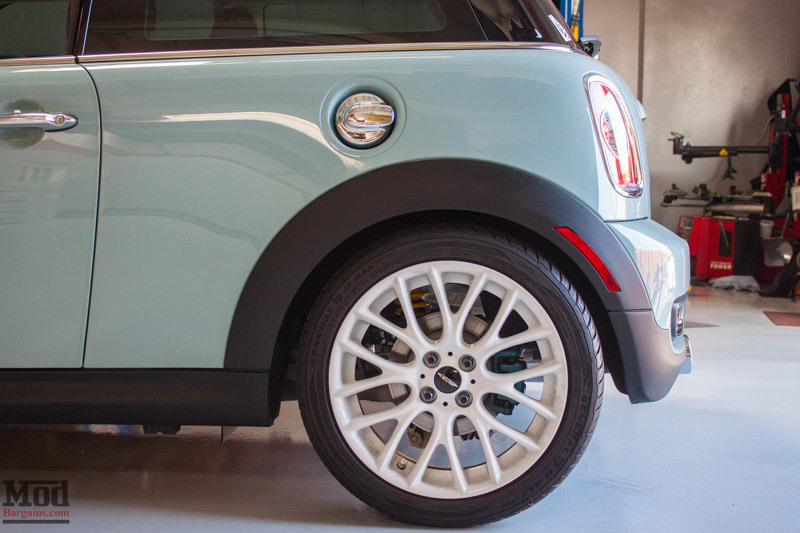 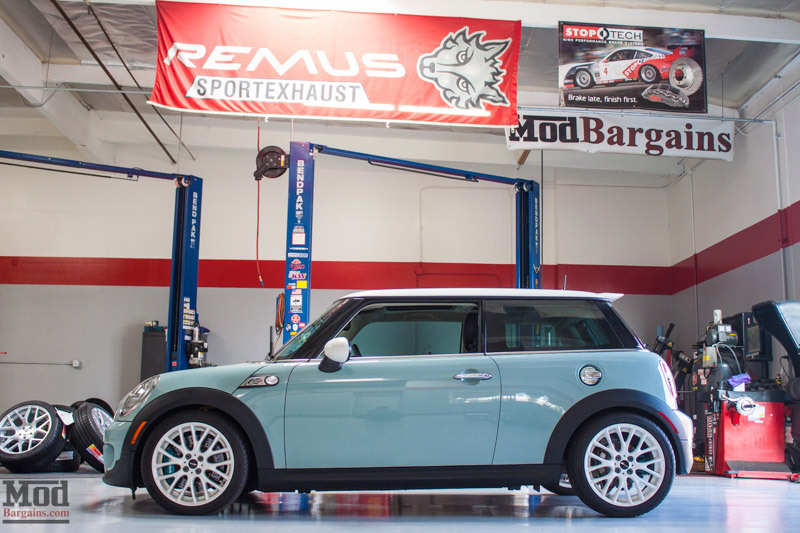 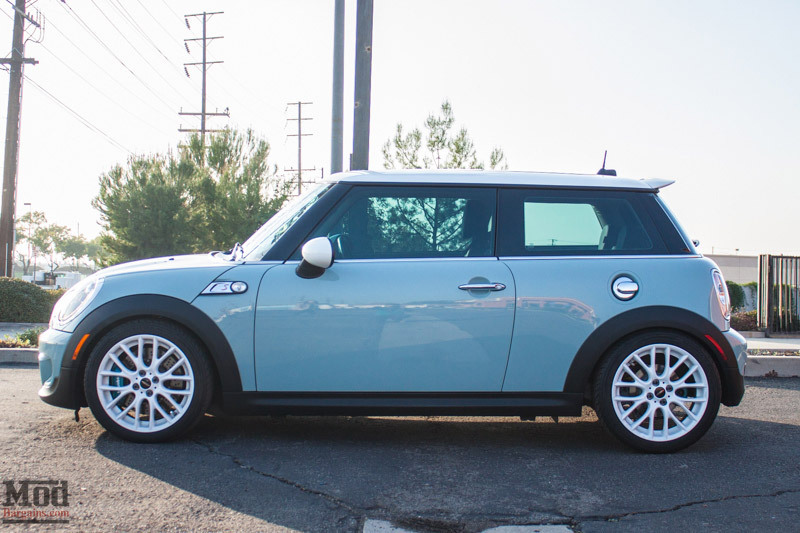 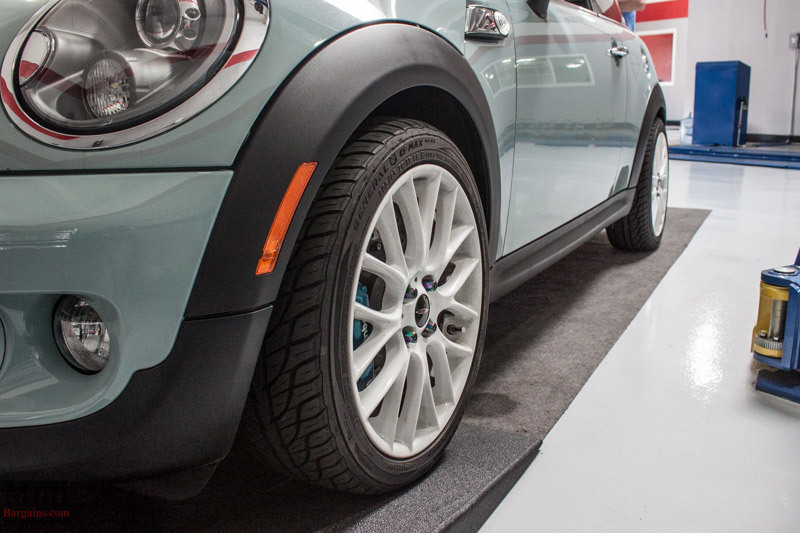 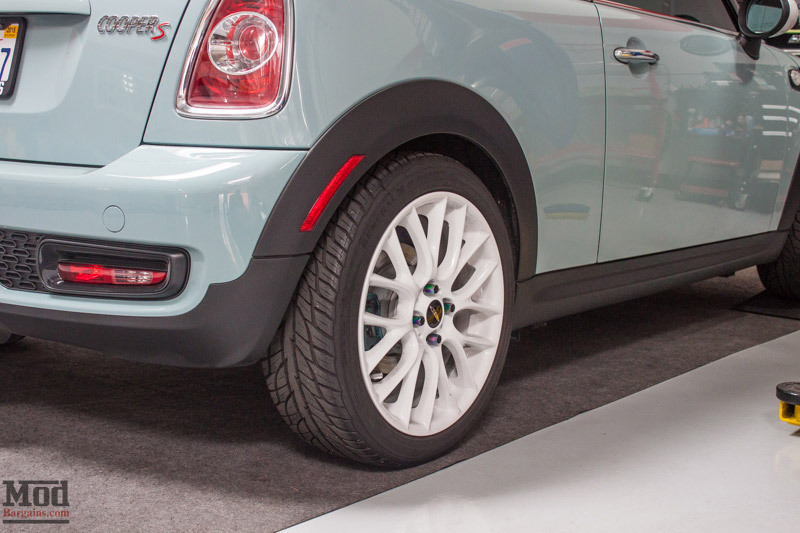 Talk to the Mod Experts like Alan – call us at 714-582-3330 (x8006 for Alan) to see how we can help enhance your Mini “Motoring” experience. 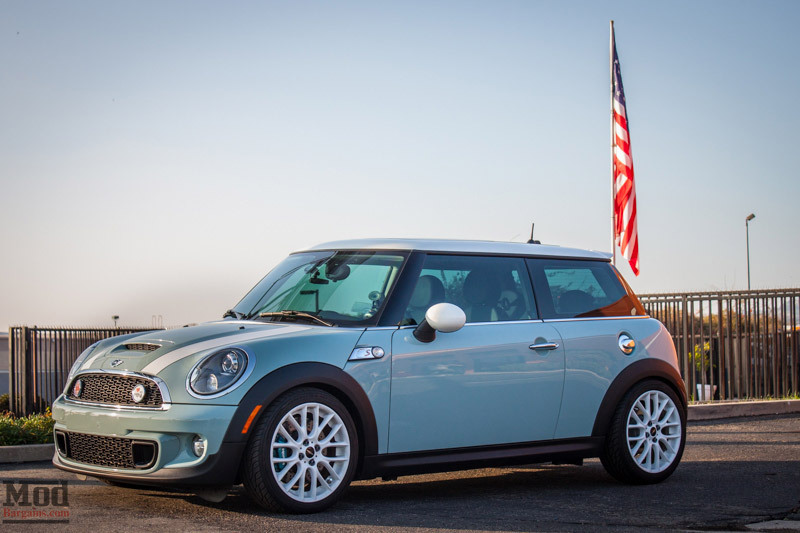 Thanks for reading and we’ll see you next time.